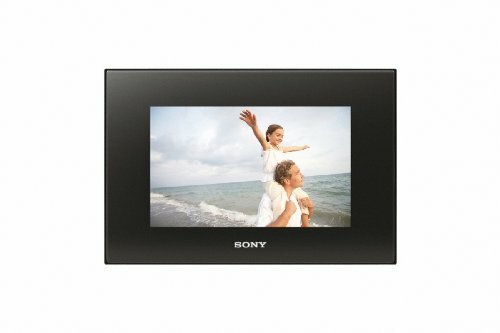 Get more entertainment from your photos with Sony's DPF-D82 Digital Photo Frame. Store up to 2000 images that you can display as single pictures, multiple thumbnails, search function to easily find images, or slideshow presentations. The 8-inch widescreen (15:9) LCD screen showcases your cherished memories in WVGA resolution (800 x 480) and vivid color, while an Auto Orientation sensor automatically rotates your photos into portrait or landscape format. Direct USB input from most digital cameras and support for most memory cards makes it easy for virtually anyone to transfer photos and relive meaningful events. Clock and calendar display modes and an included remote control provide added convenience.